It's been a very exciting time. So many things have happened since the end of the auction of my Action 52 Prototype and Original artwork. First I'd like to thank the 1,000's of visitors to this blog for visiting. And to the 100+ that have already subscribed or followed, I'll do my best to keep you informed and entertained. 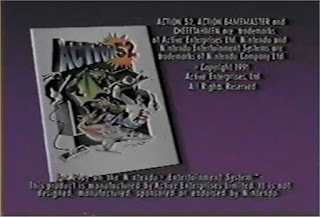 Since the ending of the auction I've been contacted by several people regarding my Action 52 Prototype and the artwork. Some have already asked if\when I'd be putting it up for auction again, others have made offers, all were very excited for the find. It appears my readers that this "is" just the beginning of this story. 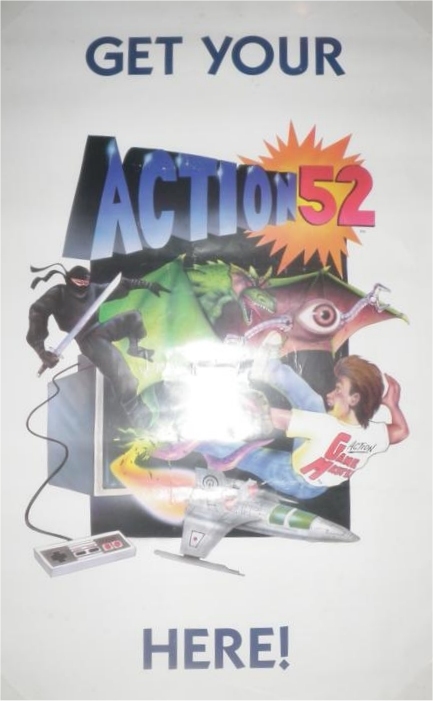 Others that contacted me have very interesting ideas about the future of these items and the Action 52 project. Let's keep it simple but interesting, one of them used the word "REUNION" a lot. and pause it at 0:59 seconds. See anything familiar ? 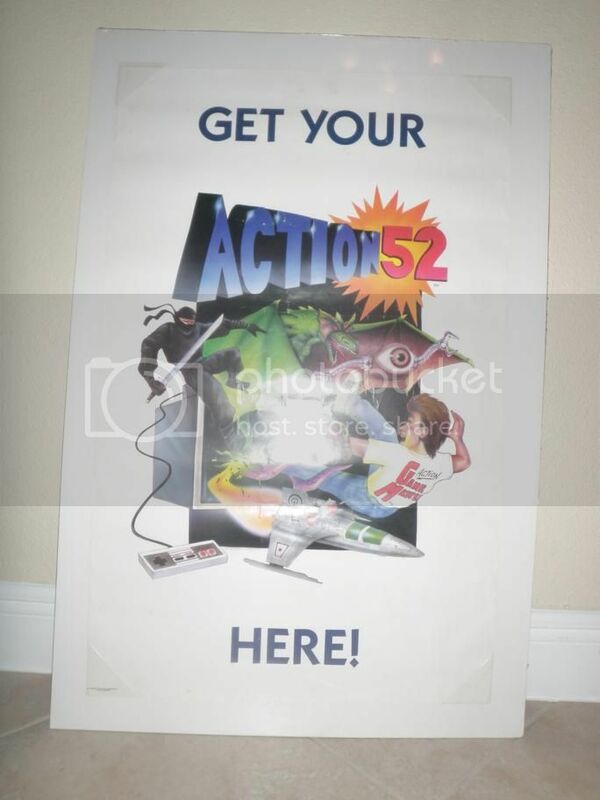 how about now (from my auction) ? Nice eh ? Anyone catch this one ? 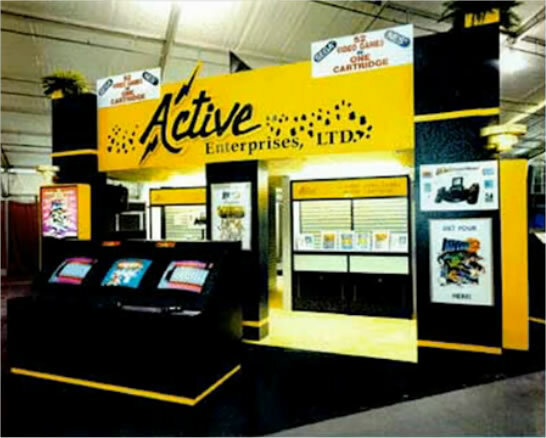 From the Active Enterprises booth at the Consumer Electronics Show, see the poster to the right ? Look familiar ? How about the one directly under the word "Enterprises" ? 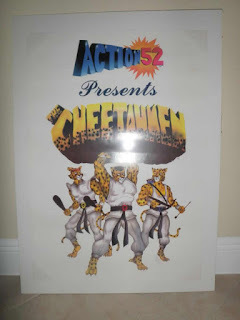 Yes, it's the Cheetahmen ! If anyone has a better quality picture of that booth please forward it to me Action52Developer@gmail.com. I can post about your contribution if you want, name, website, blog, etc..